A lot of the teachers at my school are teaching kiddos typing/ keyboarding skills... 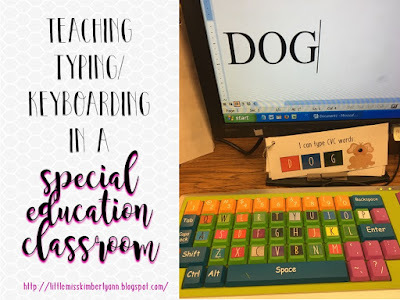 I loved the idea of having my students type because it's such an important life skill and some of my kiddos struggle with the fine motor skills involved with using a pen/pencil... but I had NO idea how I was going to teach my students with moderate to severe disabilities how to type when some of them don't know all of the letters yet. So, I did a good ole google search and ended up finding some color-coded keyboards like this one. 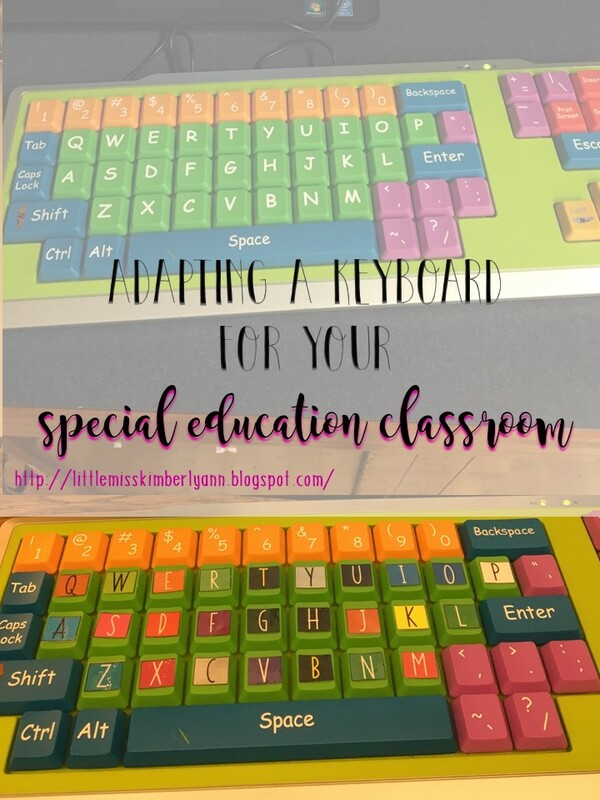 The color-coded keyboards already out there are okay, but they definitely aren't going to give my kiddos the visual prompts they really need to type... so I decided to just make my own adapted keyboard! First, I ordered a keyboard with larger keys that already had some color-coding. Then I made a template using Powerpoint to color-code each letter on the keyboard. I printed the little letter pieces out, laminated & cut them out and then hot glued them to the keyboard. Then I used the template to create little color-coded word strips that are a visual prompt for kiddos to type their names and basic CVC words. 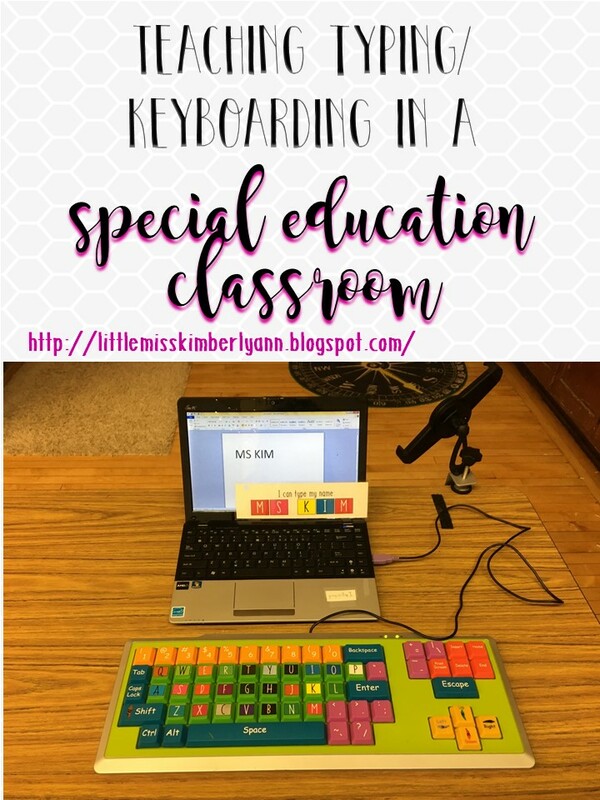 I was super excited to try the keyboard out with my class, but I had no idea how well it would actually go! 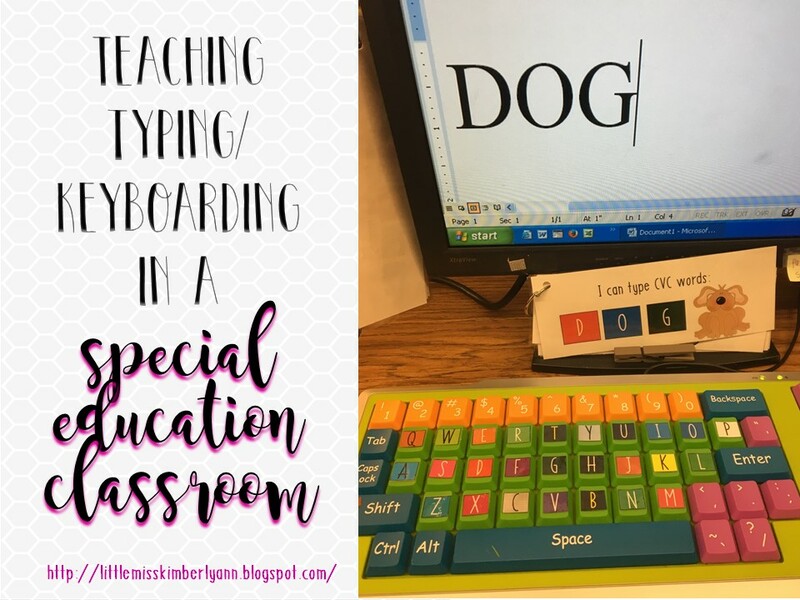 I have a few kiddos who can type their name and a few CVC words independently with the fancy keyboard and word strips! You can download the template for free here! 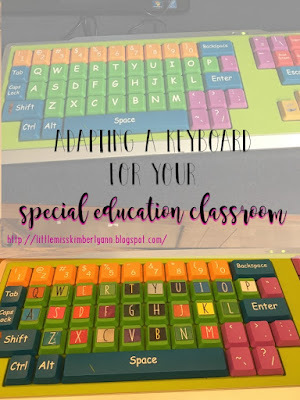 With the template, you can print out the letters for the keyboard and you can also use it to make visuals for kiddos with their names, words, etc. 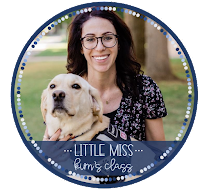 Do you have any tips or tricks for modifying computer/ iPad equipment so students with moderate to severe disabilities can type? Follow me on my new Facebook page by clicking on the Facebook icon! Did you know you can get them ON AUTOPILOT AND TOTALLY FOR FREE by using Like 4 Like? 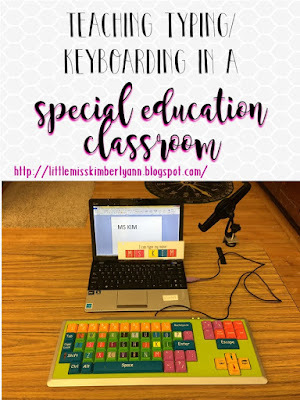 This teaching is very nice for the students who want to learn about typing, keyboarding etc. You talk that a lot of teachers is ready for that. I look here a lot of good information. Thanks for the best blog. It was very useful for me.keep sharing such ideas in the future as well. Thanks for giving me the useful information. You should keep the good working. check it and you will know more about this post. Thank you to find the best website. It absolutely was invaluable for me personally. retain revealing these kinds of tips in the foreseeable future at the same time. Thank you regarding offering myself the particular beneficial details. You ought to maintain the excellent functioning. http://www.imgapplicationhelp.com/personal-statement-img/ and you may learn concerning this submit. I think there has not many people who cannot do the typing now a days as in this modern tech era people are really advanced rather than just typing. explore more to know about the quality of writing.